It's All About Books: The Sunday Salon: Let It Snow! Yes, that's snow. Just a little, but it IS snow! I am listening to: my Vangelis station on Pandora. Soothing mellow mood music. You know Vangelis? They are famous for this song. TV Talk: American Idol started. There's been some really fun people go through on to Hollywood, so I look forward to the season. None that have totally stuck with me though, except that one named Philip Philips that totally jammed on the guitar for the judges. That was awesome. The Vampire Diaries was also awesome of course (except I'm still worrying about Jeremy) and the biggest thing this week? ELIJAH! Books I've finished: I finished I Capture the Castle earlier in the week, and I finished Cinder last night. Books I want to start: Where She Went, from the library, sitting here, waiting. I am thinking: that sometimes these posts take way too long to write and by the time I'm done the day is over! I am grateful for: my crock pot that makes Sunday dinners much more easy. What I learned this week: what SOPA means and that internet blackouts are a good way to get attention! Around the house: I DID buy an area rug for the basement, which now covers up some of the grossness of that old carpet. It's been nearly 20 years since that carpet was put in and I just don't see it getting replaced in the near future so, cover it up!! Recipe of the week: Ah the English scones from the link Hannah from Word Lily sent me. They turned out great and I loved them. I think tonight I'll make some more, because I made that fake mock clotted cream to go with and there's leftovers and that stuff won't last forever you know. Favorite things of the week: book club of course. Everyone always gets nervous that they stay chatting too long, but I love it and wish it never had to end. I was tired this time though because I'd had one of those crazy running around non-stop days, so hopefully I didn't look too dead. The rain yesterday was nice, but it made me want to curl up and read and I couldn't. Getting a haircut is always a favorite thing! Family matters: Two boys on antibiotics and hopefully we can finally kill the bug. We celebrated the end of Winterim for the two kids still at home in jr and high school, which means "normal" school starts up again this week. They've been doing schooling in a specialized subject for the past three weeks. The Blog Report: Well let's see, I had some pretty good random thoughts one day, I reported on some bookish events, I recommended books to non-readers, and I reviewed a Persuasion and The Fault in Our Stars. We've had to do the rug in the basement trick as well - the basement was the kids domain and the thought was always that the carpet would be temporary. But 15 years later we still have it and until we get around to turning it into a grown up place, it will stay. Lol-we've had that "dating your brother's friends" conversation at our house, too. My daughter is 3 hrs younger than my middle one but very grown up and some of his friends have definitely been giving her the eye! Not sure any of us would know how to handle that! We've finally got a little snow outside our window too. I don't think it's going to last too long, though, since it's supposed to rain tomorrow. Back on the weather roller coaster! Ooh. I could respond to almost everything, but I'll keep it short. I can't wait to hear how you like Lola and the Boy Next Door. And I love book club and still feel bad I stayed so long. 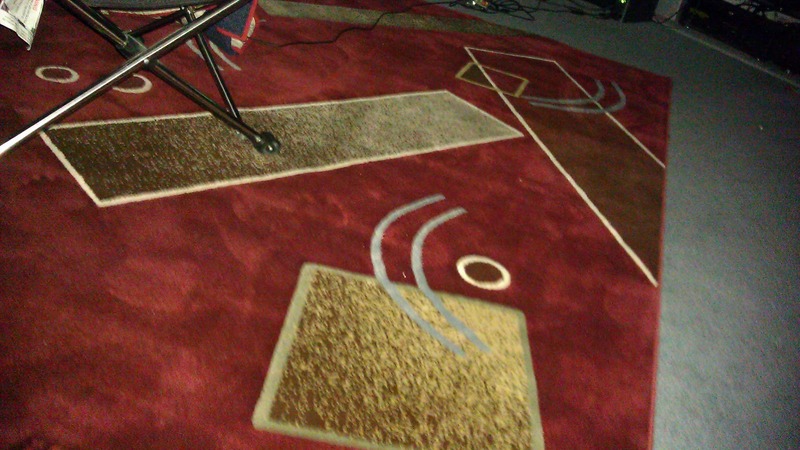 :) The rug rocks. And the English scones were amazing! Liking Lola pretty good so far, but it's not what I expected really. So. Kinda different! So glad you enjoyed book club! Well, I'm glad you're happy about the snow. Me? Not so much. I don't know why I'm surprised you finished Cinder so fast but I am. I started it but got caught up in another book I was reading so it kinda got put on the back burner. I had a blast at book club too and I know Jessica really appreciates them. The Scones, btw, were VERY good. Yes, it's been really bugging me that we've had no snow at all. Cinder was a pretty quick one! Fun and easy to read. Um...someone seems to already be dating their brother's friend! But it's all good. Not really awkward at all... yet. So I need to go back and look for your review of Cinder and The Fault in Our Stars (which I loved!). The author of Cinder lives in my area and I want to get her as a speaker at my school but I should read the book first, don't you think? We just finished with a wild week of snow and ice. Enough already! Anne, you will find TFiOS, but Cinder won't be up until this coming week. She would be awesome for speaking at your school. The kids will love her. I'm totally jealous of your snow. It was 70+ degrees in Texas over the weekend, and for winter, that's just SILLY. That is silly! 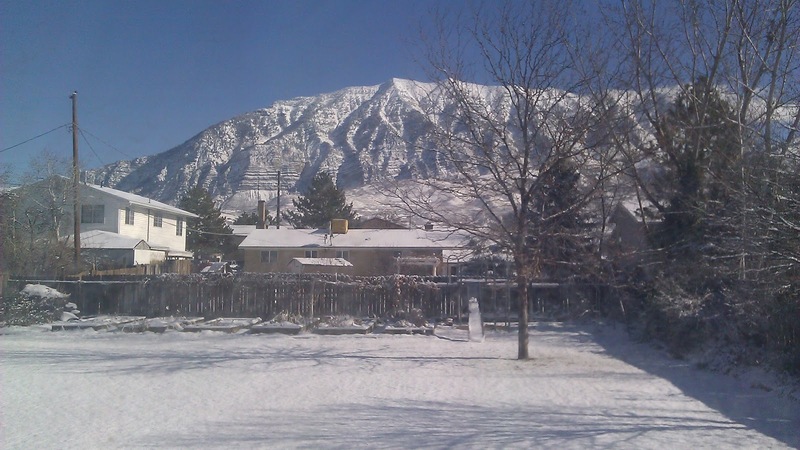 And it's been nearly that warm here in Utah.. which is REALLY silly! So, yes, the snow made things feel a little more normal. Sounds like American Idol is starting off interesting this season. :) I wish they'd put the episodes online so I could catch them. I hope you like Lola & the Boy Next Door. I thought it was a cute read. Kathy, I really liked Lola... cute fun read just as you say.